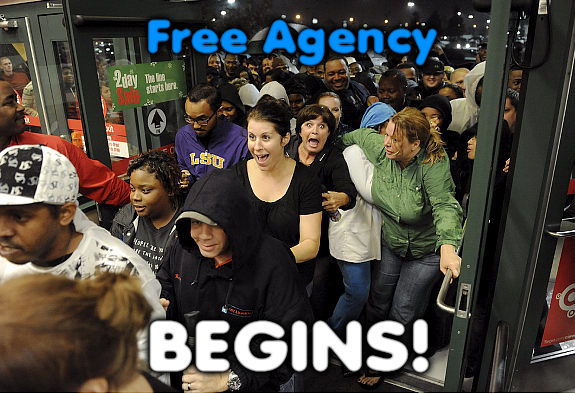 Not much Broncos news to report from day one of Free Agency as the Broncos didn't sign anyone. 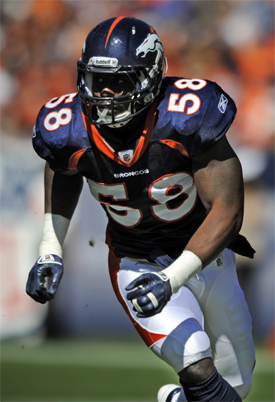 There are a few tidbits about guys the Broncos may be interested in and are bringing in but there is not much news about off contract Broncos that we may be resigning. The news for today was that Brandon Meriweather is coming to town tonight for a visit. Not a huge fan of Meriweather, he is a good stop gap player for our younger guys but I don't want to sign him to a long deal. A year or two at most. 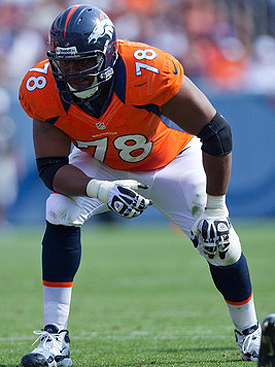 The other news point for the day was that the Broncos are deep in contract negotiations with Brodrick Bunkley. They have also reached out to Paul Soliai encase Bunk decides to go else where. The Broncos are among several teams interested in Paul Soliai. An announcement on this situation should happen in a day or two. There was only one trade today and it was a big one. The Chicago Bears will send two third-round draft picks to the Miami Dolphins in a blockbuster trade for Marshall, Fox Sports insider and NFL Network contributor Jay Glazer first reported Tuesday. 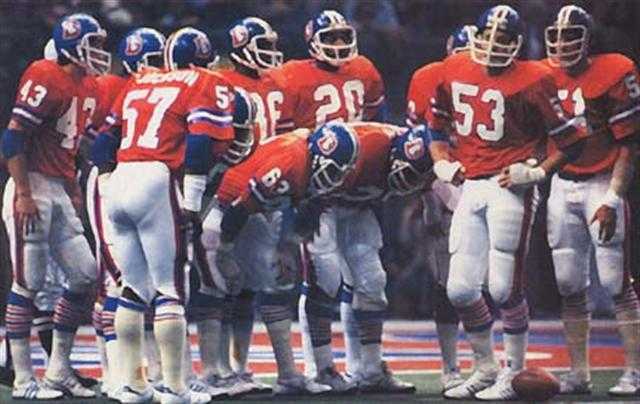 The deal will reunite the wide receiver and the quarterback, both of whom began their careers with the Denver Broncos. The Dolphins gave up Marshall for cheaper than we did but it is a good deal. But Marshall may be suspended to start the year. Looks like he got into another fight. Allegedly he was involved in a melee at a New York club early Sunday, two days before his trade.The New York Post reported Wednesday that a woman claims Marshall struck her in the face outside the club. 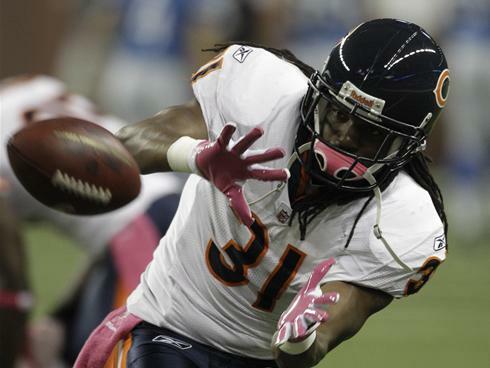 Bears announce a two-year deal with CB Tim Jennings. 49ers sign LB Tavares Gooden, a former Raven. 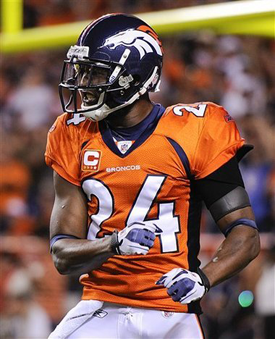 Former Broncos CB Perrish Cox has signed a 2-year deal with the 49ers. QB Jason Campbell reached agreement with the Bears on a one-year deal. With Jason Campbell taking backup QB spot in Chicago, that leaves Kyle Orton's main option as the Dallas Cowboys. Vincent Jackson agreed to five-year deal in Tampa with Bucs. Garçon signed with the skins. The Redskins and Morgan agreed to terms on a two-year deal at more than $6 million per season, NFL Network's Michael Lombardi reports. In four seasons, Morgan had 131 receptions for 1,764 yards and nine touchdowns. Finnegan has agreed to terms on a five-year deal with the Rams, a league source told NFL Network's Jason La Canfora. In six seasons with the Titans, Finnegan intercepted 14 passes. Meachem opened the free-agency period by spending time in Buffalo, but ultimately agreed to a four-year deal with San Diego Tuesday night, the Chargers announced. The Giants re-signed CB Terrell Thomas. The Titans re-signed S Jordan Babineaux and LB Patrick Bailey. The Chargers re-signed C Nick Hardwick. Panthers announce that G Geoff Hangartner has re-signed and OT Travelle Wharton has been released. Colston stays with the saints. The Seahawks re-signed Bryant, NFL Network's Michael Lombardi reports. Bryant, one of the top defensive linemen on the free-agent market, started 16 games for Seattle in 2011 and registered two interceptions, including one for a touchdown. Chargers announce release of LT Marcus McNeill and CB Dante Hughes. Terence Newman was released today as was David Buehler. Chad Henne expected to visit Jacksonville, Kyle Orton expected to visit Dallas. TE John Carlson is visiting the Chiefs, but Colts, Bucs, Bears, Vikings, Cowboys, and Seahawks are all pursuing him. Ross will visit with the Bengals on Thursday, a league source told NFL Network's Jason La Canfora. Ross has spent all five of his NFL seasons with the Giants, intercepting 10 passes. Looks like Cleveland RB Peyton Hillis is in Chiefs plans, may also be coming to KC for visit. Eddie Royal still not signed yet. Market turned out to be really strong for him. Versatility, can play slot, outside, specials. Good player. Ravens and Skins are interested. Not much Manning news today, it was a lot of will he or won't he visit the Titans. 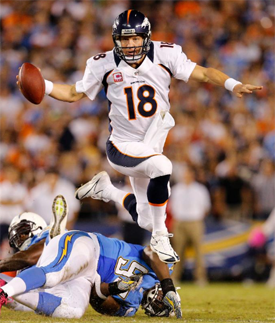 Now it looks like Manning will meet the Titans Wednesday. I doubt he will make an announcement tomorrow unless it is with the Titans. Most likely he announces which team he is signing with on Thursday after the deal is worked out. This will happen unless a dark horse team comes in and makes a move, which seems unlikely. I am a little concerned that the Broncos haven't been able to pick up a veteran receiver and most of the good ones have already signed. Plus with Eddie Royal leaving we need to pick up a few guys. I am thinking Royals' replacement can be found through the draft, but we need to find a true No 2 receiver. That is it for today, check in tomorrow for more fun and games ~ Aussie. Small trade today by the colts and eagles today, more on that later. Looks like royal is visiting the chargers I would hate for him to go there. Crap, Hillis is going to the Chiefs, their running attack is going to be good. We need to find some DTs! And le'ron McClain has agreed to terms with the Chargers. Maybe we should go after Tolbert? Looks like qb chad henne is heading to the jags. Looks like cb richard Marshall is going to the dolphins.